Recently, I published the article Reasons You're Still in Debt. Like I said in that article, I think the first step in eliminating debt is to realize why you are in debt in the first place. I believe that if you don't know what your problem with debt to begin with is, then it would be hard to make a positive change. Yes, it is great to just start attacking your debt, but you also don't want to fall into the same cycle of going into debt over and over again. 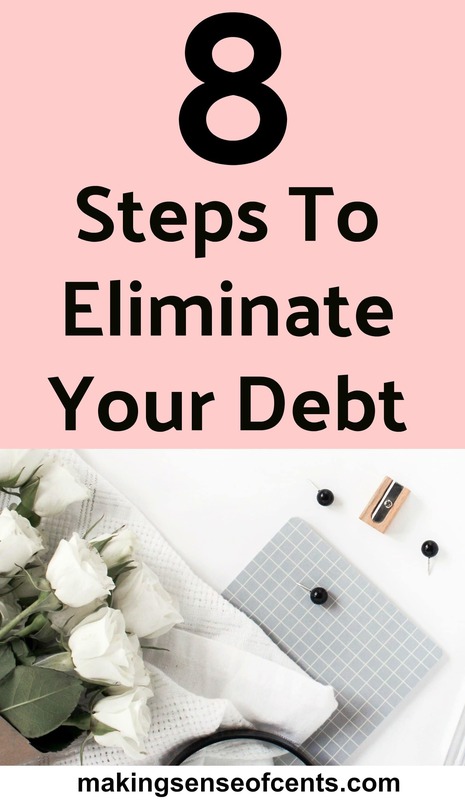 After you realize why you are in debt (or why you keep going back into debt), the next step is to figure out how you will eliminate your debt. There are many different ways for you to attack your debt, and I prefer a mixture of everything. Below are different ways to get rid of your debt. 1. Stop adding to your debt. This sounds obvious, right? Like I said earlier, if you don't know why you are in debt, then it would be hard to stop adding to your debt. Also, if you're eliminating debt but also adding to it at the same time then you won't get anywhere fast. Asking for your credit card limit to be lowered. Don't take out extra student loans that you don't need. Think it over before you buy something. Avoid places like the mall altogether. Of course this is on my list. Why wouldn't it be? If you don't believe in a budget but you have a lot of debt, then you better start believing. 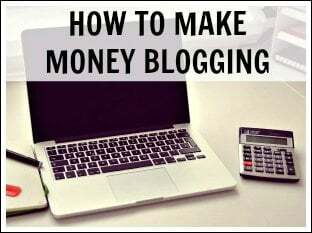 You should create a realistic budget so that you truly know how much you are spending. Then total how much you actually bring in each month. If you are bringing in less than you are spending then a change definitely needs to be made. A budget can also help you see where your money is going so that you know what areas you need to work on. Maybe you never realized how much you spend on food each month, how much you spend on clothing or something else. 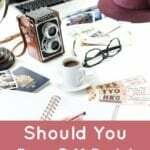 A budget really puts that in front of you so that you know what you can cut out of your spending (or at least lower your spending in that area). To continue with what I was saying above, you may have to cut your expenses in order to have a realistic budget so that you can pay off your debt. If you have $100,000 in credit card debt, should you really still be spending $500 a month on clothing? Depending on how quickly you want to get rid of your debt, there are different things that you may want to cut out. You could cut out Starbucks (I know, I know), lower your restaurant spending, find a cheaper way to workout, sell your car for something cheaper/more affordable, cook from scratch and so on. Lower your cell phone bill. Instead of paying the $150 or more that you spend on your cell phone bill each month, there are companies out there like Republic Wireless that offer cell phone service starting at $5. YES, I SAID $5! If you use my Republic Wireless affiliate link, you can change your life and start saving thousands of dollars a year on your cell phone service. I created a full review on Republic Wireless if you are interested in hearing more. I’ve been using them for over a year and they are great. Sign up for a website like Ebates where you can earn FREE cash back for spending like how you normally would online. When you sign up through my link, you also receive a free $10 gift card bonus to Macys, Walmart, Target, or Kohls! Save money on food. I recently joined $5 Meal Plan in order to help me eat at home more and cut my food spending. It’s only $5 a month (the first four weeks are free too) and you get meal plans sent straight to you along with the exact shopping list you need in order to create the meals. Each meal costs around $2 per person or less. This allows you to save time because you won’t have to meal plan anymore, and it will save you money as well! Look for coupon codes. I search for coupon codes for everything. Today, I have two for you. I have a $25 Airbnb coupon code and a free taxi ride with Uber. Both are great services that I have personally used. 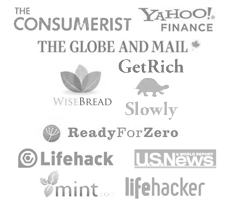 Check out my recommendations page for a full list on money-saving websites. 4. 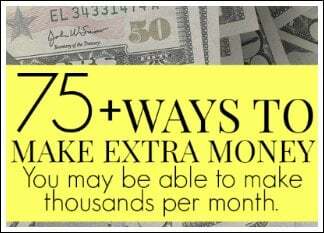 Find a way to make extra money. 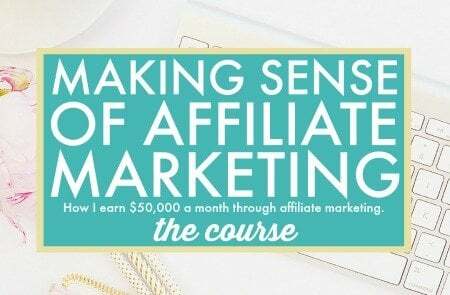 Making extra income is the main thing that helped me pay off my student loans so quickly. 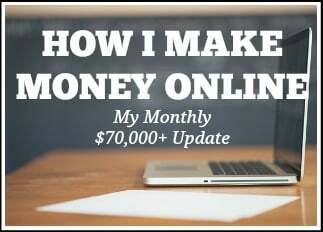 I worked like crazy in my spare time because I knew that I could make more money than I could cut out of my budget(don't worry, I did do both). There is a limit to how much you can cut, but you can always find different ways to make more money. 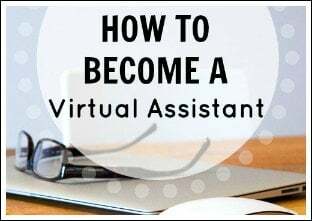 You could find a part-time job at a restaurant, retail store, and so on. 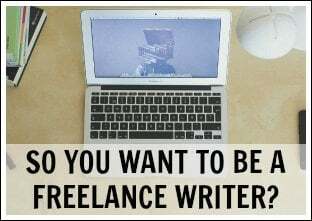 You could freelance on the side. You could babysit, dog walk, sell your crafts and so on. The list is really endless for what you could possibly do. Put little amounts toward your debt. For example, whenever you get an extra $25 (such as by selling something), then you should just throw that extra money that you won't miss towards debt. Automate your payments if you can't force yourself to make payments. Put money towards debt right when you get paid so that you are “paying yourself” first. How are you eliminating your debt? 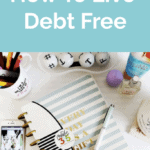 When do you think you will be debt free? 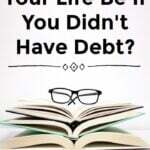 How Would Your Life Be If You Didn't Have Debt? 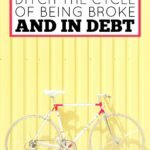 Pay Off Debt And Break Free Of The Debt Cycle – You Can Do It! Great tips Michelle! I remember when I was paying off my debt the first thing I was told to do was to budget. 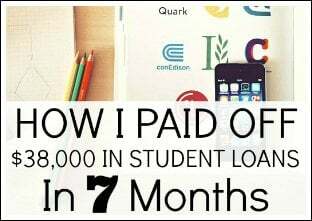 I hated it at the time, but I know that it was a huge step towards getting me started towards knocking the debt out. Yes, budgeting is so important John! Whenever people tell me that they are doing horrible with their finances but don’t believe in budgets, I have to laugh at least a little bit. Avoidance is a tactic that works well for me. As I’ve been trying to cut spending in order to save for Europe I have been a bit of a hermit. I plan social occasions either in my house or friends’ houses and otherwise I stay in and cook at home. Yes, this is something that I do a lot of. I try to avoid looking at possible clothing I can buy, junk food I don’t need and so on. Instead of impulse shopping, I’m trying to impulse pay-my-debt. Last month I paid an extra $100 by just throwing little amounts at it whenever I felt like I needed to spend money. I agree with Stephanie’s “hermit” statement. If I don’t go out, it is very unlikely I will spend money. Just like when they say “pay yourself first” with regard to savings, I do the same for debt. I transfer that money as soon as I get paid (the amount in my budget) and then at the end of the pay period, if there is money left over, it gets shuttled to the debt as well. We went balls to the wall to get out of debt. If I saved 5.00 at the grocery store with coupons, I put 5.00 towards the debt. I collected change in a jar and as soon as it was full, I cashed it in and put it towards the debt. I think you have to want to be debt free, and then imagine what life would look like without those payments. How much freer would you be? For us, being debt free means freedom. That is a great idea about how to pay off debt. Good job! Well, I know it’s still a ways away but once my car is paid off next year, I’m going to take that money and put it towards paying off my student loan. That extra few hundred a month will knock off an extra $4,000 a year towards that debt. I’ve seriously been considering getting a part time job again to supplement my income, but honestly, I’m scared of burning myself out again. Instead, I’m trying to find some “side hustles” that are a little more flexible/up to me to do. Yes, flexible side hustles are best. I don’t think I could have worked a part-time job where I had to physically go in somewhere. We used to eat out a ton as well, but now we are eating at home more and enjoying it much more! I make extra money from time to time, but also regularly from renting out my parking space. I take public transportation instead, which saves me money, plus I”m making money by my parking space. I have a friend who tutors; teaching Math or English to younger children or online. I think it’s just about being a little creative. We as human beings really don’t need THAT much; anyone who has travelled a bit is faced with that decision of packing only what they need. So I try to live my life simply and I don’t even own a credit card ie I have no credit history, ever (if I don’t have the cash, I don’t buy it and I shop with a grocery list). I like reading and good food; those are pretty much the bulk of my expenses, and I travel at least once a year. I’m ahead on my goals for the new year financially, which gives me more motivation to keep going and going, and it seems like I’ll be able to reach my ten year goal in half the time, which is really great! That is awesome that you get paid to rent out your parking space. Good job on everything! 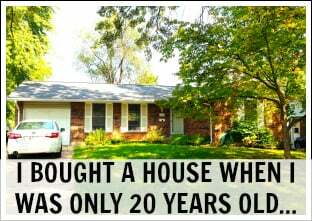 If you are really serious about eliminating debt then lose the car! Vehicles are a huge ongoing expense and parking the car in favor of a bike (ideally), a scooter or public transportation will make a huge difference to the bottom line. If you are a two car family, try to make the switch to one. Obviously, work & family commitments can make this sort of sacrifice very difficult, but if you can possibly manage it then this will have a greater impact (other than downsizing your home) than any other financial decision you can make. I agree! Cars are so expensive. All of these are great tips. Especially cutting expenses. After tracking our expenses last year we were able to cut $520/ month from our budget. This year we have already cut an additional $257/per month. This money is being used to payoff our debt and rebuild our emergency fund. $520 a month is amazing! What did you cut out? Eating out, allowance money, stopped buying clothes I didn’t need. This year we switched to prepaid cell phones and got rid of our landscaper. We embraced our lifestyle deflation and it has paid off big time! I am good with cutting expenses and making extra money. That is how I did it. My biggest hurdle is finding ways to make extra money on the side without taking more time away from my fiance and family. It’s hard to find that even line. I’ve also developed a bit of a hermit syndrome as Stefanie put it above. I try and do things at my house or a friends house instead of going out on the town whenever possible! Yeah I completely understand. Finding a flexible way to make side income is important. I think it is key that if you choose to start tackling debt, that you not help it grow. I realized that I had a higher credit utilization rate than I wanted, so I literally left my credit card at home for a month. It was amazing how much quicker I could pay it down when I wasn’t running it up, plus I became more thoughtful with my spending when I only had cash. Great basic tips Michelle! “Find a way to make extra money” has been key for me in trying to get out of debt faster. When it comes down to it, the scientific way to get out of debt sounds so easy, it’s overcoming the emotional war that can be challenging. I’m hoping to have my student loans paid off next year. I’ve been making extra payments, slashing all unnecessary expenses, and tracking my spending. I’ve basically prioritized paying my loans off so that I’m not tempted to buy clothes or eat out as much. It can wait! Everyone forgets that you have to… be patient. It took you time to accrue the debt and it will take you time to pay it off. Yes, you are right! Some may get discouraged because it is taking a long time as well. You need to find ways to motivate yourself during the process. Great tips! We try not to put stuff on our credit cards unless we can pay it off right away. And to help save money, I coupon! Couponing is always great! 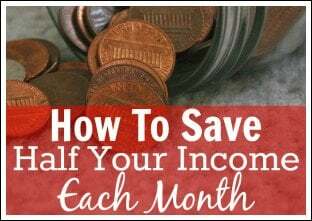 How much do you think you save each month by doing that? One crazy way that I am eliminating my debt is by selling things on Ebay. the money that I make on there goes to the debt. I agree with paying little amounts to debt when you have it instead of spending it on something else and automating payments. I have a checking account that is exclusively for my student loan payments. I have part of my paycheck direct deposited there. I never really look at the account or anything because I know that money is off limits. I also never worry about overdrawing the account because I know enough gets direct deposited there. Sounds like you are doing good. Good job! Really great tips! 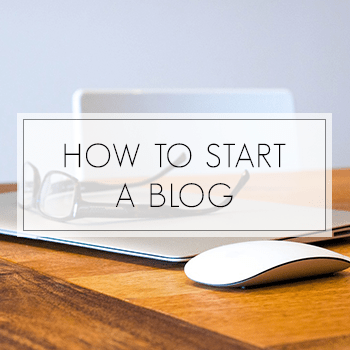 When you first start, a budget seems really daunting because you have nothing really to gauge yourself on. But as the days and weeks and months go by, it gets easier and easier, and it all becomes like a game. I put my credit cards in a huge chunk of ice back when I was getting out of debt. It seemed totally lame at the time but the symbol of doing it really changed my spending mindset. Frozen snickers are really good too. Haha yes, it can be hard to tell someone no, or to tell yourself no! Oh man, my dad was just telling me about this couple he’s working with where the husband estimated their debt at $500k and the wife at $1M. I mean, really? How can you be that far apart? It doesn’t bode very well for their future. I got a second job to help me eliminate my debt. 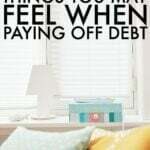 I’m hoping to be debt-fre by my 30th birthday in May 2015! 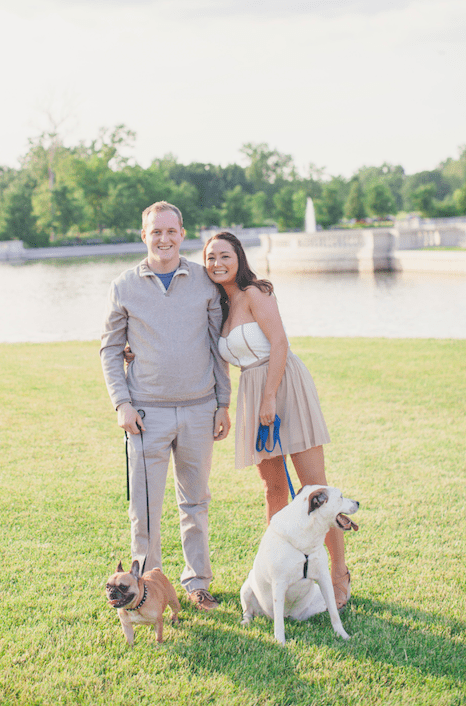 We are debt free, but when we were paying off my wife’s student loan and car we lived off of my paycheck and used her paycheck to crush that debt in less than 12 months! Our debt is our mortgage and our student loans. I am paying it off by making some extra money, which goes directly towards those debt payments. 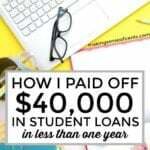 My initial goal was to offset the monthly student loan payment and my next goal is to offset the monthly mortgage payment as well. 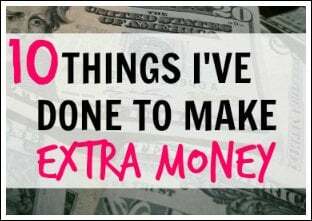 Making extra money, budgeting and avoiding all the stuff I want! Great ideas! I am trying to side hustle as much as possible to put as much as possible towards loans each month! Yes, side hustling can really help out! We aren’t in debt and the way to eliminate it for us right now is just to keep it that way. Debt is the devil!! We contribute to savings and buy most things in cash and if we MUST use credit cards it’s one purchase at a time. Thesr are great advice I am frankly scared of credit cards . I used to be vrey budget heavy but my finances got so good I gave it up…big mistake. I am about to go school so I am afraid getting a loan is going to screw this up but I do not know any alternatives!